Our MSc in Creative Technologies course is an opportunity to design your own project, exploring the boundaries of creative technologies and researching into the technological and scientific capabilities of both hardware and software. The aim of this degree is to promote research and innovation in the use of creative technologies, enabling you to take the next exciting step in your career. This course is delivered in partnership with Nottingham Trent University (NTU). Your degree will be delivered at Confetti Institute of Creative Technologies (NTU's Creative Quarter Campus) and NTU's City Campus, and validated by NTU. The course is suitable for graduates from BA or BSc courses in a related area, such as (but not limited to) music technology, film production, TV production technology, music performance, games production, games art, VFX technology production and, live and technical events. It’s also suitable for professionals working within creative technologies, who aspire to senior management positions. Our part-time route will be delivered predominantly outside of core working hours, helping you balance the demands of work alongside postgraduate study. 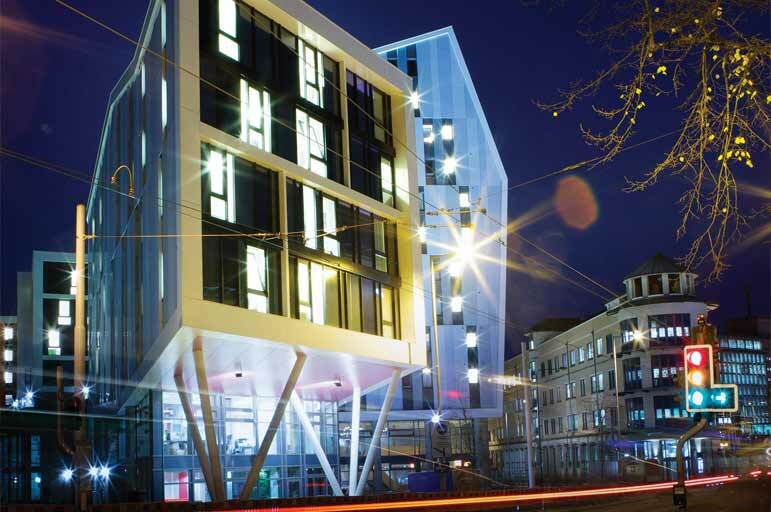 Study at our brand-new, multi-million pound campus, right in the heart of Nottingham. 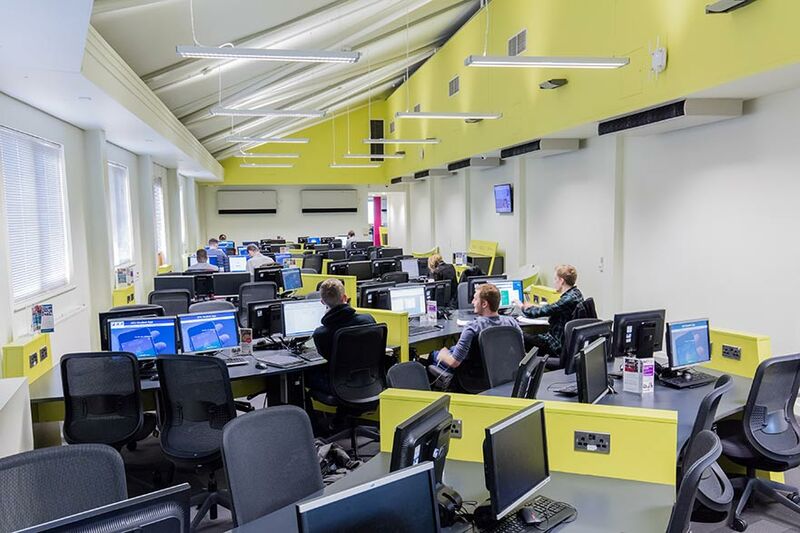 Our postgraduate students benefit from bespoke study space and an access all areas swipe pass. You’ll be the first to use many of our facilities as we open our new campus developments, including our Digital Media Hub and Contemporary Music Hub, in the autumn. Benefit from small study groups with a dedicated postgraduate academic team. Your course leader will work closely with you to help develop your unique personal project, supported by a framework of taught content to extend your knowledge and understanding of creative technologies research. Significant support is in place to support students returning to higher education after a significant break, or pursuing study for the first time. Graduate with a degree that reflects your career aspirations and personal specialism: an MA (Master of Arts) or MSc (Master of Science). Although the course is taught, the elements of personalisation will enable you to have significant input into your course content. You’ll graduate with the skills, knowledge and experience relevant to your personal career. Benefit from Confetti's partnership with Nottingham Trent University. You'll have full student access to NTU facilities including the modern Boots Library at the City Campus, as well as membership to the Students' Union. You’ll also have access to The Hive, NTU’s Centre for Entrepreneurship and Enterprise, supporting students wishing to start their own businesses. Confetti Institute of Creative Technologies belongs to the Confetti Media Group, a group of five creative industry companies including a film and post-production agency, a TV station, an artist management agency, a creative working space provider, and a furniture design and manufacturer. You’ll be learning in a creative and professional environment, with the opportunity to immerse yourself within the businesses of Nottingham’s Creative Quarter, cultivating networking and collaborative opportunities. Take part in Confetti’s Industry Week, a series of over 70 workshops, lectures and masterclasses featuring some of the biggest names in the global creative industries, including representatives from PlayStation, Radio 1, Sky, Rockstar Games, Glastonbury Festival, Deepsilver Dambusters and Sumo Digital. Should I apply for the MA or MSc Creative Technologies degree? By offering the MA or the MSc, we’re offering you the option to select which course aligns best to your previous area of study, and your speciality within the discipline. 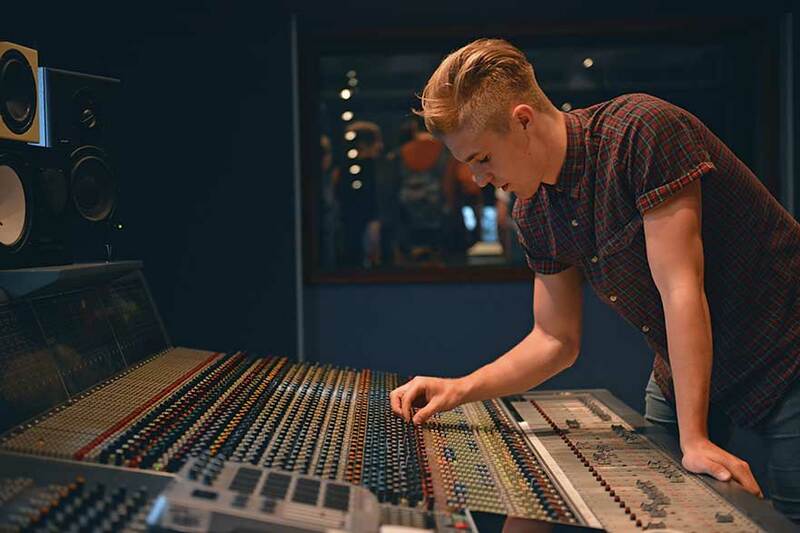 For example, it’s expected that a BSc Music Technology student would normally choose MSc Creative Technologies, and a Music Performance student would normally choose the MA Creative Technologies. A student with a technological focus to their project would be advised to choose the MSc and a student with an art and design focus would be advised to pursue the MA. If you’d like further advice before submitting an application, please get in touch with our course leader, Dr Lindsay Davies: lindsay.davies@confetti.ac.uk, who can advise on your specific interests and requirements. We define creative technology to mean the creative use of digital technology, or the use of digital technology for creative purposes; creative technology can be seen as where technology meets art and design. As technology develops, the need for globally-minded and technically savvy creatives is growing. This course is designed to enable open-minded and ambitious students to explore the boundaries of creative technology, through collaborative work. Our MA and MSc students learn alongside one another, developing your ability to engage with interrelated areas, to propose innovative and exciting solutions to problems that push the boundaries of the creative use of technology. You’ll engage with contemporary research, and, using our industry-standard facilities, develop your own in-depth research project that explores your area of interest. The course is designed to mirror industry workflow within the creative industries. Manufacturing of products and asses through the use of creative technology follows a set series of stages: pre-production, production and post-production. Our curriculum is designed to reflect this. You’ll study a series of inter-connected modules, designed to enhance your technical expertise, creativity, research knowledge, critical thinking and employability. The MSc Creative Technologies course is comprised of three consecutive modules. You will study two common modules across the MA and MSc route (120 credits), with a final module that defines the MSc or MA route (60 credits). This course is delivered over one year full time, or two years part-time. Our part time route is delivered predominantly outside of core business hours, helping you balance the demands of work alongside postgraduate study. The course will be delivered over 45 weeks between September to July, with six hours contact (full-time) or three hours (part-time) per week. The first stage module focuses on the development of your research practice; you’ll have the opportunity to design and plan an innovative research project relating to your core interests in creative technologies. The assessment tasks are designed to allow you to demonstrate your developing practice as a researcher at postgraduate level. Throughout the module you will work collaboratively with peers to conduct a small-scale research project, which you'll present verbally. The aim of this module is to review and consolidate research surrounding innovative product development within your chosen media technology discipline, and provide you with a framework for the development of your own creative technology production. You will investigate operational issues and technical considerations required for the production management of your creative technology assets and products. You will need to undertake experimentation and prototyping as appropriate, and undertake sustained reflection against your professional and personal aims and objectives, identified in the first module. This module is the third and final stage of three consecutive modules. It’s the final realisation of your proposal, presented in the Creative Technology Research module. You’re expected to demonstrate how your research has developed into a professional, creative technology outcome. You will be concerned with the development of the commercial, technical and conceptual skills needed to succeed as a professional in your chosen area of expertise, within the global creative industries. As an MSc student you will place emphasis on the realisation of the technological and scientific capabilities of both hardware and software, and the impact it has on the creation of commercial technology products. The timetable for this course is built around four distinct sessions. These are group sessions and are a forum for discussion and practical exercises, alongside other students studying on the postgraduate courses. You’ll work on tasks relating to weekly module themes, which will give you the chance to learn about the research methodologies required at postgraduate level. Tutorials take place in both group and individual settings. Group tutorials focus on the development of your critical thinking skills, and you’ll engage in critical discussion as a group, facilitated by academic staff. Tutorials will require you to prepare work for discussion. These workshops are practical sessions, designed to explore the relevant practices and procedures relevant for your career in the creative industries. Many of these sessions will be universal for all disciplines, for example through subjects such as the use of VR in the creative industries. You’ll have the opportunity to personalise your learning experience as part of these sessions, by selecting those that meet your career aspirations. Sessions will be held in places such as our IT suites, recording studios, TV studio, green screen room, or live event space. You’ll be encouraged to take part in sessions not immediately related to your discipline, in order to forge collaboration and create innovation through the fusion of technology. You’ll also benefit from guest presentations, delivered by alumni and employers within the sector. Hands-on workshops, designed to help you develop your skills and knowledge as an academic researcher and a creative industries professional. You’ll have the chance to get involved with additional opportunities to complement your academic experience. These opportunities include work-based projects such as involvement with NottsTV, Game City festival, Confetti Live events at The Bodega and Dot to Dot festival, and through events such as Industry Week. Course work is based on establishing your own focused question, and then developing a project that aims at challenging conventions in the use of creative technologies. This project should be a ‘live’ project negotiated with a tutor and industry practitioner that reflects real-life, audience facing, creative technology challenges. You will produce your own project plan, identifying how you wish to use creative technologies in developing your own practice, ultimately impacting your potential career in the creative industries. 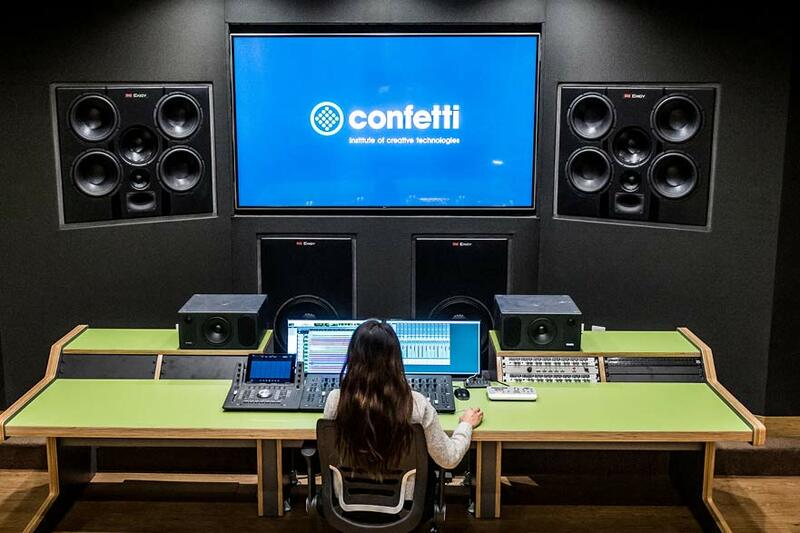 Engage with the creative technology industries as part of Confetti’s Industry Week, including hosting your own events. Take part in ‘Do It For Real’ opportunities through Confetti Media Group contacts, such as Notts TV and Splendour Music Festival. Postgraduate students benefit from bespoke study space and an access all areas staff-level swipe pass, to give you the best possible hands-on learning experience. You’ll have access to room bookings and equipment bookings – there’s over 2,000 pieces of equipment on offer for you to use. You’ll be based in our brand-new, £9.1 million Digital Media Hub on Lower Parliament Street, right in the heart of Nottingham’s Creative Quarter. Opening in autumn 2018, you’ll be among the first students to benefit from our new facilities. As a Confetti student, you’ll also have access to the facilities at our partner institution, Nottingham Trent University. The NTU City Campus is just a ten minute walk away, and boasts cafes, shops, a gym, a three-story Students’ Union building, and an art gallery. You’ll have full student access to the Boots Library right in the centre of the campus, fully equipped with journals, articles, books and e-resources, as well as a laptop loan service and PCs for student use. There’s also a dedicated postgraduate study room at the Boots Library; a private space for postgraduate students to work and study. You’ll also be welcome to use the facilities at NTU’s Clifton Campus and Brackenhurst Campus, just outside Southwell. Be among the first students to use our new multi-million pound Digital Media Hub and Contemporary Music Hub, with bespoke facilities for postgraduate students. A minimum of a 2:2 honours degree, or an appropriate equivalent, i.e. a professional qualification, from a recognised British or overseas institution, in a related subject. Related subjects include (but are not limited to), music technology, film production, TV production technology, music performance, games production, games art, VFX technology production and, live and technical events. Mature students with at least 3 years industry experience are also welcome to apply. Applicants who do not fully satisfy the general criteria will be considered if they are able to demonstrate that they are capable of successfully undertaking and completing the programme at the required standard. Eligibility will be determined by means of an interview. Applicants who have been taught and assessed in languages other than English should have an English language equivalent to IELTS 6.0. You'll be invited to an informal interview after you submit your application, to determine your project ideas, your fit with the course, and to discuss your aspirations. Applications for this course can be made via the NTU Applicant Portal - click on the Apply button at the top of the page to be taken straight through to the Portal. We welcome applications from applicants without prior qualifications. However, in this instance, you must have proven experience in industry, which demonstrates appropriate knowledge and skills at honours degree (undergraduate) standard. Preparing for the financial side of student life is important, but there is no need to feel anxious and confused about it. We hope that our fees and funding page will answer your questions. We are pleased to offer a 25% alumni discount for graduates of Confetti Institute of Creative Technologies and Nottingham Trent University. Terms and conditions apply. We award scholarships to those students who can demonstrate excellent achievement, passion and dedication to their studies. To find out more visit our Postgraduate Scholarships web page.